she never did care for pie. I read this quote a few days back and found it so true. It sums up every mother so well! And especially mine! Happy Mother’s Day mom! I hope you know how much you mean to me. Love you and sorry for all the trouble I keep giving you! You will always be the best human being for me. Hope one day I can sacrifice my piece of pie for you. Till then, here’s a whole bread for you! This innovation- the word “recipe” does not do the technique justice- came from Jim Lahey, owner of Sullivan Street Bakery in NYC. 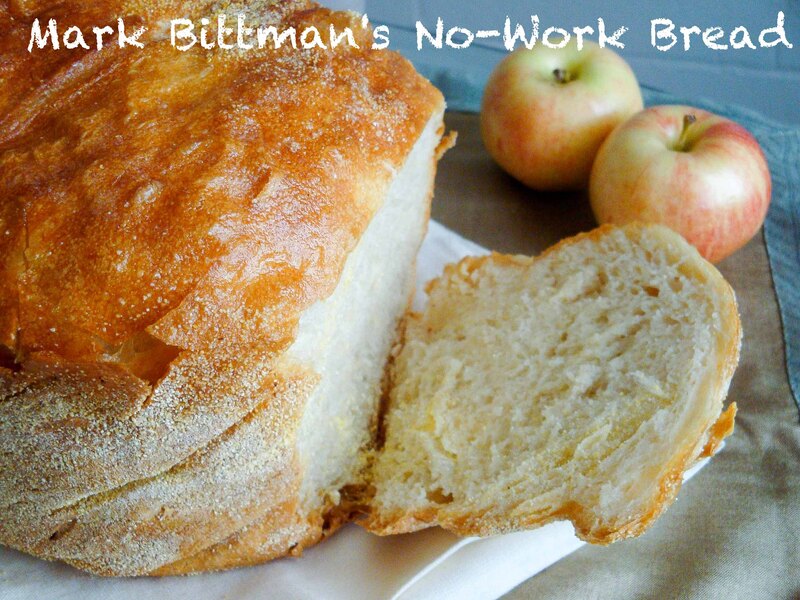 Jim has created a way for home cooks (and not even ones who are serious bakers) to nearly duplicate an artisan bakery loaf, with a crackling crust, open-holed crumb, light texture, and fantastic flavor. All without kneading, fancy ingredients, or special equipments. Bittman’s description is bang on target. 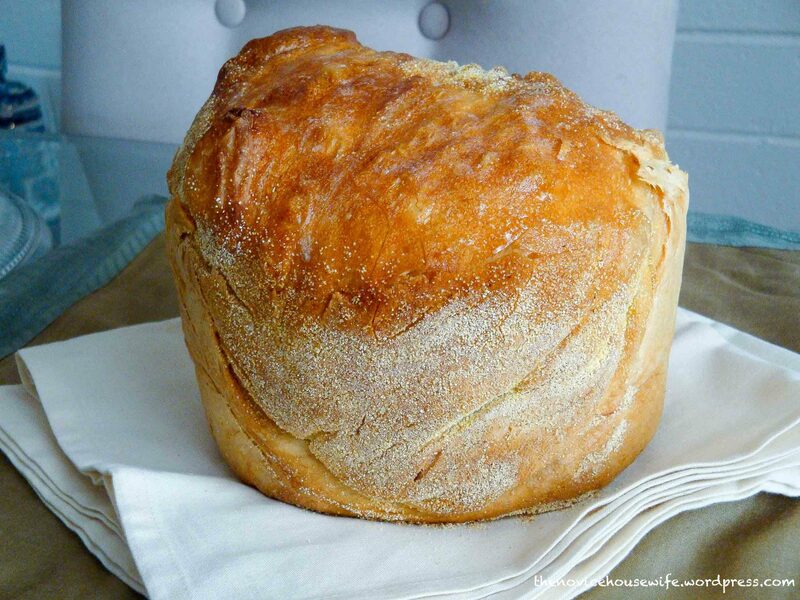 The beauty of this bread- it needs no kneading- you just mix everything together- sit it out in the refrigerator or outside if the temperatures are cool- take it out the next day, shape into a ball and let it bake! And you have a crusty, heavenly smelling bread. A wet dough, along with slow fermentation is the secret to its yeasty flavor and open crumb. You do need to plan ahead for this bread. It is a 24- hour long process, but you would be in the kitchen for only 15 minutes working on it. The method involves the bread to be baked in a covered pot in the oven. One could use a dutch oven but I do not own one. I used a crock pot. The crockpot website says that if the pot/crock is detachable you can use it in the oven. Instead of the lid I used aluminium foil. It worked for me but you should try it at your own risk! True to myself, I goofed up while transferring the dough to the crock pot. 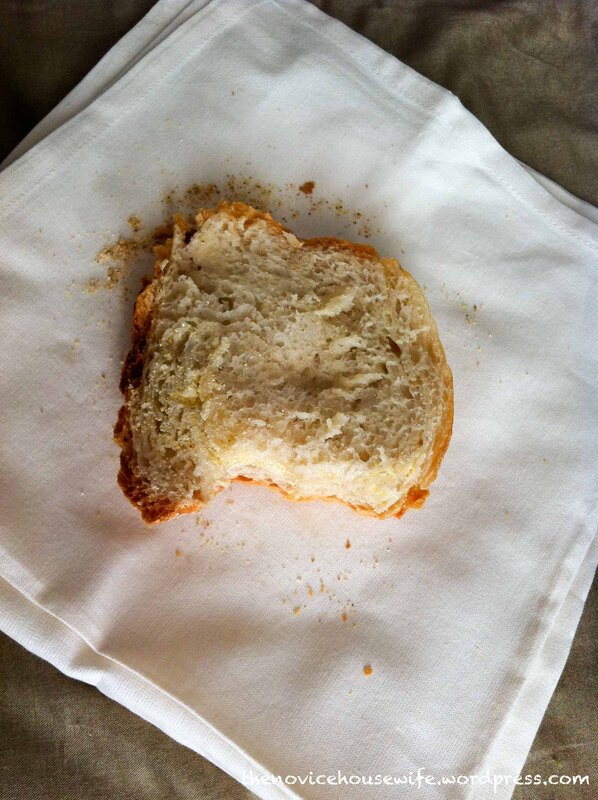 But, you guys be careful and keep the seam up, to get a beautiful crack on the top of the bread. So that you can brag about how professional you have become at bread making! I have made the basic version, which makes a fantastic bread, but of course, you can be more adventurous with the formula and use whole-wheat and other flours and different seeds to make it to your liking. Combine the flour, yeast, and salt in a large bowl. Add the water and stir until blended. The dough will be sticky and that’s how it should be(add a little more water if it seems dry). Cover the bowl with plastic wrap, or transfer the dough to another greased bowl, and turn the dough to coat with oil. Cover with plastic wrap. Lightly flour a work surface, remove the dough and fold once or twice; it will be soft, but once sprinkled with flour, not terribly sticky. Cover loosely with plastic wrap, and let rest for about 15 minutes. Using just enough flour to keep the dough from sticking, gently and quickly shape the dough into a ball. Generously coat a cotton (not terry cloth) towel with cornmeal. You can use silpat like I did. Put the dough seam down on the towel and dust with more flour or cornmeal. Cover with another cotton towel (or plastic wrap) and let risefor about 2 hours. When it’s ready, the dough will be more than doubled in size and won’t spring back readily when poked with your finger. At least half hour before the dough is ready, heat the oven to 450 F. Put a 3-to-4 quart covered pot (with the cover)- it may be cast-iron, enamel, pyrex, or ceramic- in the oven as it heats. Let the bread cool for at least 30 minutes before slicing. 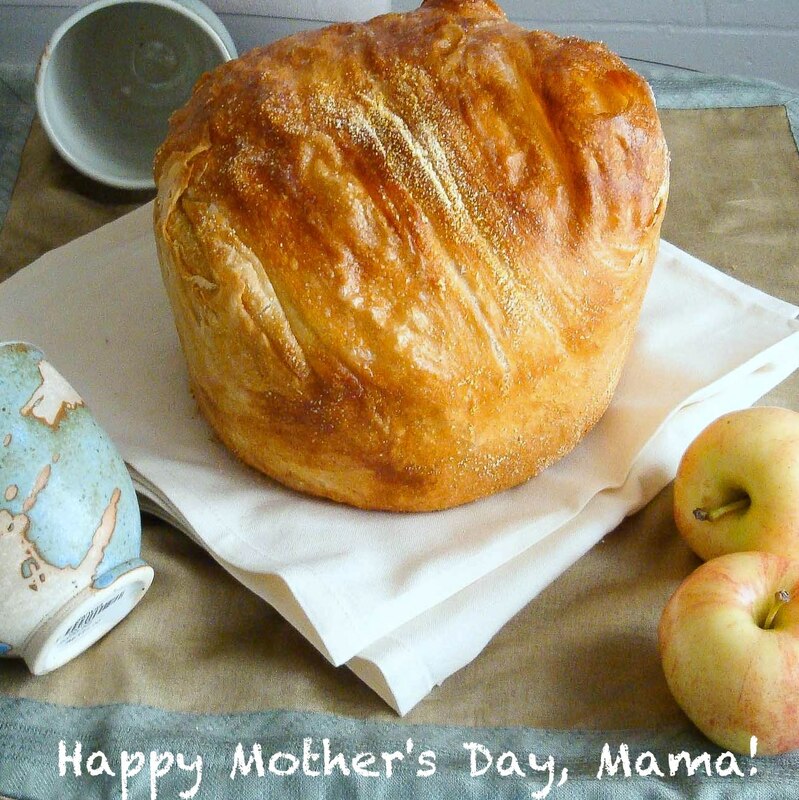 I love the no knead breads. I’ll have to try this version. Such a gorgeous color. 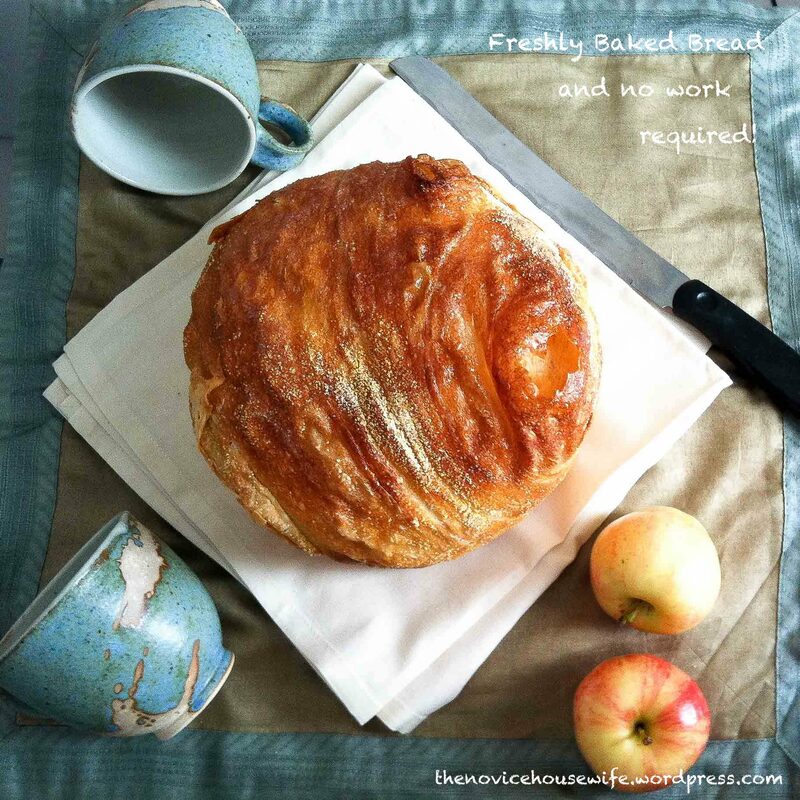 This is really pretty bread…love the shape, it’s super fun that way! I’m so grateful for my AMAZING Mom too…it’s so easy to take people for granted, but she’s truly inspirational!